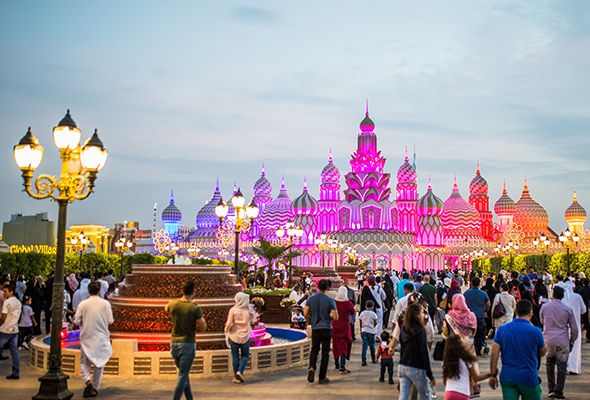 Planning a trip to Global Village? You’ll need to do it soon, as the popular attraction will close on Saturday April 13. Global Village is an iconic hub for family friendly fun during the cooler months, with over 160 dining outlets offering food from 78 different cultures, 27 shopping pavilions showcasing unique products from around the world, and a carnival packed with attractions and games for all ages. Global Village decided to close one week later than the original closing date, which was previously set for April 6. After running a poll across their social media channels, Global Village received an overwhelming response in favour of the extension. This season, the park’s main stage has hosted a variety of big-name performers, including R&B superstars Jay Sean and Jason Derulo, adding to an impressive regular array of shows and attractions.